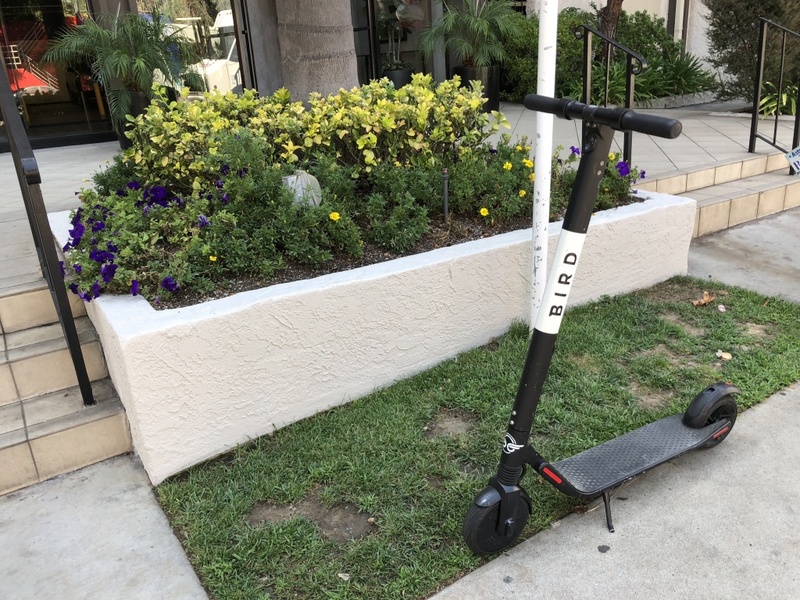 FILE: The popular company "Bird" has flocks of e-scooters like this one all over West LA. E-scooters are now fully legal on the streets of Los Angeles - but they’ll be following some new rules since the L.A. City Council approved regulations of dockless devices Tuesday. When the council first proposed regulating dockless devices more than a year ago, scooters like Bird and Lime weren’t even in the picture yet. Now they’ve taken off in many L.A. neighborhoods, and spurred a backlash of complaints that led to one failed attempt to ban the devices. Today the city embraced the new technology - with some limits. "If we’re going to be serious about creating alternative models of transportation that don’t involve polluting cars or bumper to bumper traffic then dockless vehicles are a must," said Councilman David Ryu, who spearheaded the effort to regulate. Unlike Santa Monica, which recently gave the ok to just four scooter operators, the City of L.A. won’t limit the number of companies it allows. It will limit the number of devices each company can put on the street, starting with 500 per company and expanding up to 3,000 based on how much use they get. Companies can also add additional devices in low-income neighborhoods that aren’t currently being served, which won't count against the 3,000 cap. The city will charge a permitting fee for each company and a fee per device. An effort to limit the speed of the scooters to 12 miles per hour instead of the current 15 miles per hour was scrapped. State law already requires wearing a helmet and prohibits riding on the sidewalk with an electric scooter. The new city rules will go into effect within the next four months.